Imangi Studio’s Temple Run has been around for quite some time now, well at least for iOS and just recently for Android. 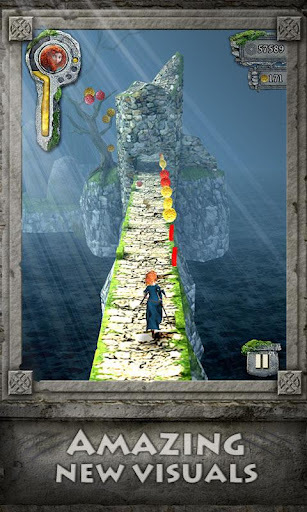 And with the success that the game has achieved so far, the developers deemed it the right to release another game and officially paves the way for the Temple Run series. And so Temple Run: Brave was born and released on Google Play. For those who are not aware, Brave happens to be an upcoming Disney-Pixar movie. 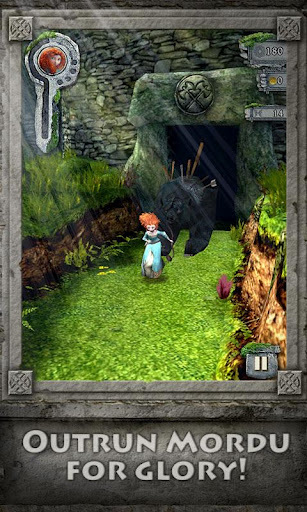 Temple Run: Brave Android game is a custom version of the original Temple Run. To make it more different from the original, Imangi sprinkled the game with some exclusive features in addition to the gameplay and game features that we all loved in the original game. Naturally, the game environment is inspired by the environment in the movie plus the wilds of Scotland. The game will only allow you to play one character and that is Merida, the main character in the movie. As Merida, you must outrun Mordu, the main antagonist in the movie. And the gameplay – it’s the same endless running, sliding, and jumping game. &nbsp; New to the game is the Archery, which gives you bonus points everytime you’ve hit a target along the way. To shot these targets, you simply tap on them as soon as they are on the screen. Other features of the game include new visuals and a bonus 2,500 points which you can use for power-ups. The game is a full 31MB download that will cost you $0.99. And while some players who’ve already downloaded the game on their Galaxy Nexus are complaining about lag times, so far it works great on my Samsung Galaxy S3. Graphics is superb as well.